Compare with conventional DF192 model, Sline type 192 changed the front panel into 304 stainless steel, which is more good looking and more durable than conventional 192 model. Yunfeng creatively collected all the air& water connections into the front panel, makes it more friendly on maintains. Sline type 192 is using 3 points locker, with high elasticity door rubber, which is able to achieve excellent sealing effect. 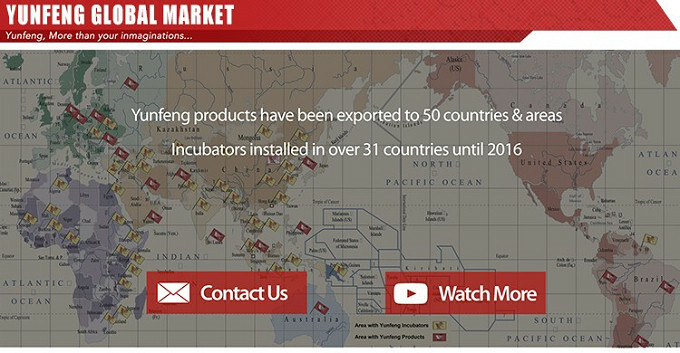 We are the earliest incubator manufacturer in China. The company was founded in 1964 and started producing incubators since 1978. 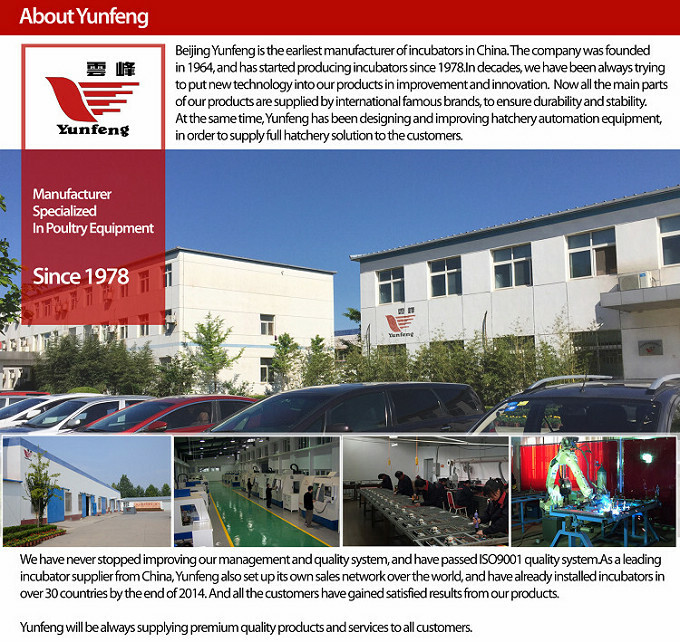 Our factory is located in Beijing, welcome to visit our factory at anytime! 3. 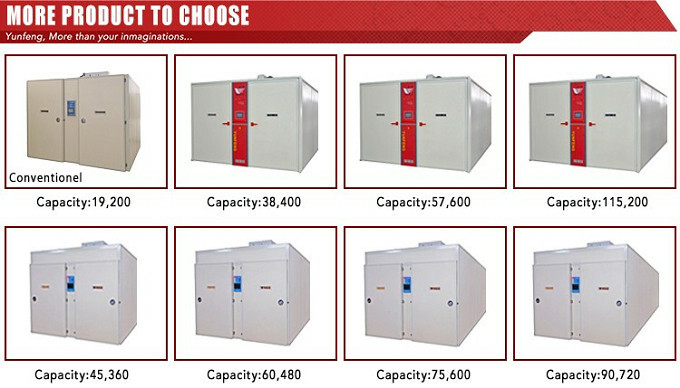 What is the difference between incubator(setter) and hatcher? Eggs are put inside incubator (setter) at the beginning, and moved to the hatcher for the last three days of incubation. For example, chicken eggs need 21 days to be hatched, for 1-18 days in incubator (setter), and 18-21 days in hatcher. 4. What is the difference between single-stage and multi-stage incubators? Single-stage is filled one time during one incubation cycle, and all the eggs inside are at the same development stage. 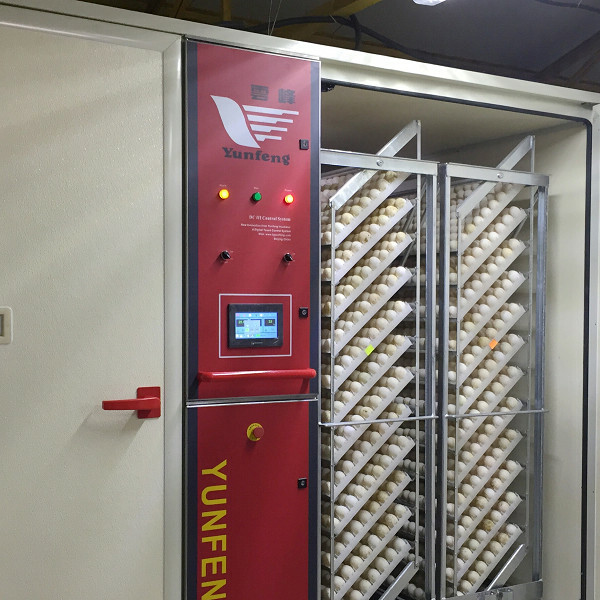 Multi-stage incubators is filled part by part, a batch of eggs will be moved in and out every 3-7 days. and the eggs inside are at different development stage. 5. What is the price of your incubators? Different capacity and specifications with different price. First please let us know those questions, thanks. > For what kind of eggs? > What capacity incubator and how many, or how many eggs to be hatched per week? > Which type do you prefer between single-stage and multi-stage incubators? > Where is the destination port? 6. What is the MOQ of your machine? There is no MOQ, but pls contact us to confirm our production period. 7. What power supply does it require? 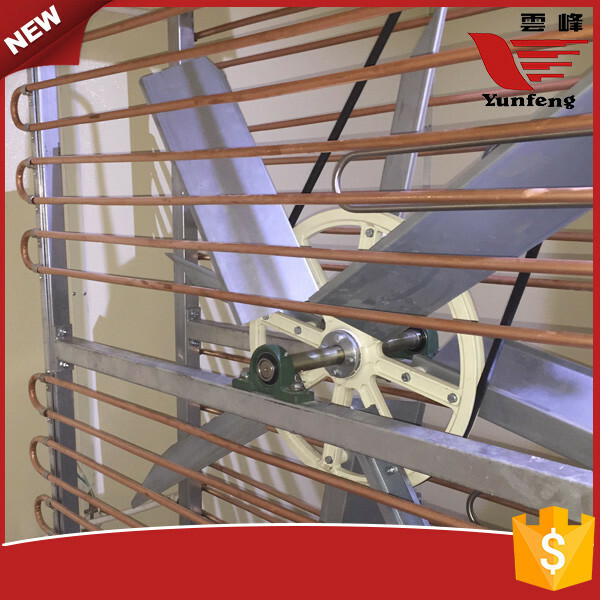 Other voltage and frequency requirement for different area can be customized. 8. Does it need technician for installation? 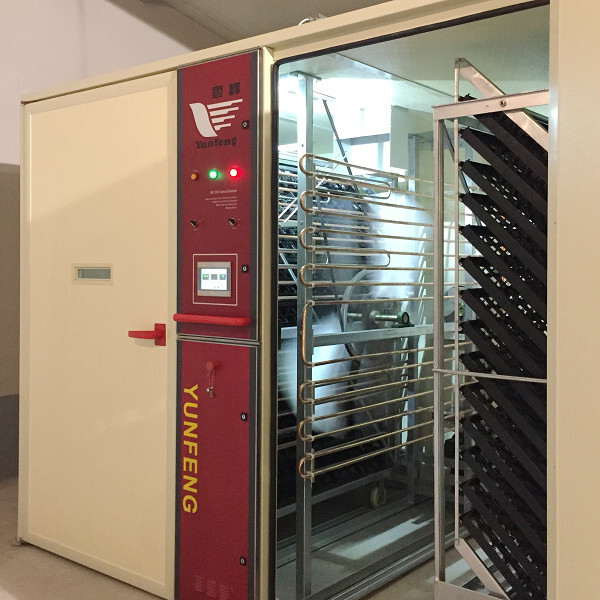 Most of the incubators require installation except the machine capacity which is below 12,096 eggs. 9. What warranty I can get? One-year warranty against defect, lifetime maintainence.